It's called phytoremediation. It's the process of natural plants cleaning up contaminated soil. Scientists at the University of Technology Sydney, Australia have identified native Australian plants that can decontaminate areas devastated by man-made disasters, such as chemical spills and nuclear accidents. According to the scientists, it's also 10x cheaper than excavating, digging and hauling the waste away. Natural plant processes can make contaminated soil safe again. An example is the Chernobyl nuclear accident of 1986. 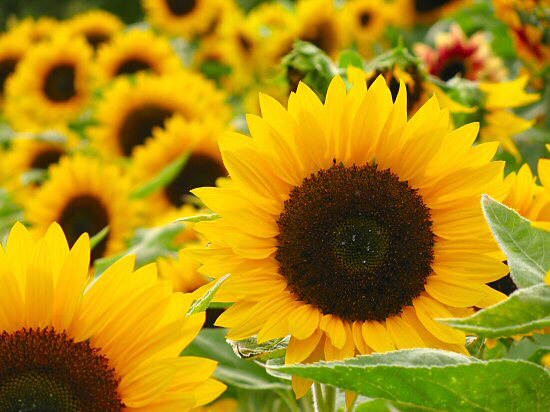 Subsequent research has shown that sunflowers were able to soak up radionuclides in the soil from the accident. The actual site is being used again for what's being called environmentally friendly sustainable power. Mustard plants are also able to absorb heavy metals from the soil. Little is known about how the process works and which plants are most effective. The Australian research is important because it focuses on both. Also the Australian plants are pre-adapted by their harsher environment and are most likely to endure if planted in contaminated soil. Bottom-line: scientists do know that plants can restore contaminated soil.